Do you want to know how to start a pot business? Get all knowledge and all the right tools in our cannabis business training university’s 2 DAY “Dispensary” Business Workshop in Pasadena. 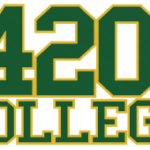 On May 21, 2016 – 420 College will be hosting a live marijuana seminar in San Diego to go over all aspects of cannabis “dispensary” and “delivery” service business start-up, operation and new marijuana business legislation, the Medical Marijuana Regulation and Safety Act; Senate Bill 643, Assembly Bill 266 and Assembly Bill 243. 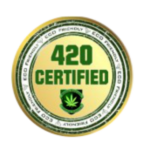 Objectives include: Step-by-step review of state requirements to start a cannabis related business in California. We cover “dispensary”, delivery, edible making companies and grow operations and new marijuana legislation, the Medical Marijuana Regulation and Safety Act – Senate Bill 643, Assembly Bill 266 and Assembly Bill 243. Types of business structure to use to start, and proper business operations.